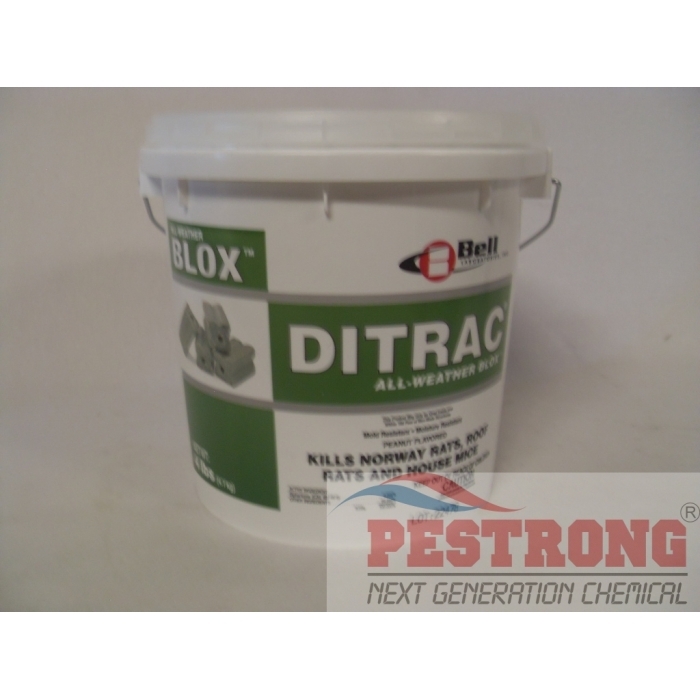 Where to Buy Ditrac Blox, Ditrac All Weather Blox Diphacinone - 4 - 18 Lb - $32.95 for Sale with Fast Free Shipping! 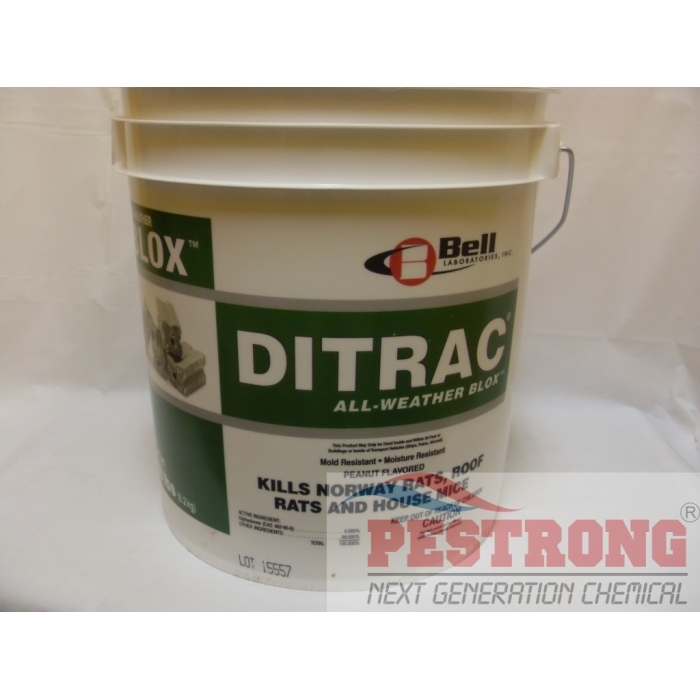 Ditrac All Weather Blox Diphacinone - 4 - 18 Lb is an extruded rat and mouse bait that achieves superior control indoors and out. 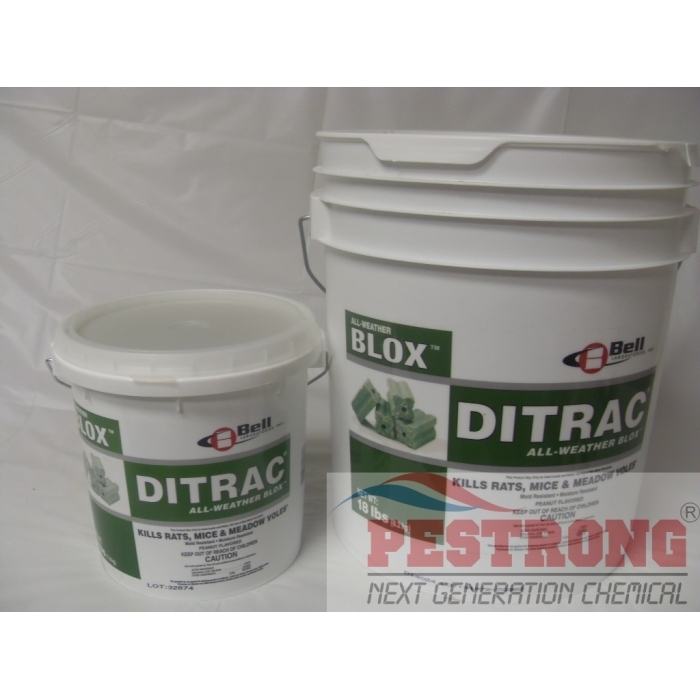 An excellent maintenance bait, DITRAC BLOX is manufactured from Bell's unique extrusion process that yields a hard, multiple-edged bait with the palatability of a meal bait and the weatherability of a paraffinized bait. Success with Diphacinone baits depends on repeat feedings. Therefore, Bell manufactures DITRAC with food-grade ingredients and enhancers for optimal rodent acceptance. 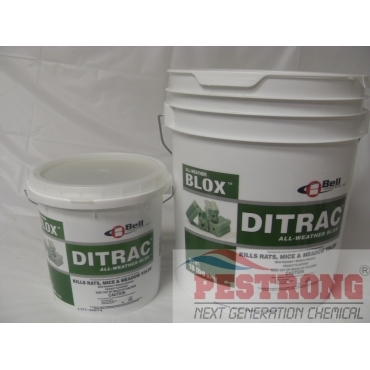 This ditrac is excellent rodenticide. Our warehouse rat problem was gone with ditrac. My friend recommend ditrac, So I found cheapest price here. also result is excellent. Thanks.